Living Area 5,281 Sq. ft. 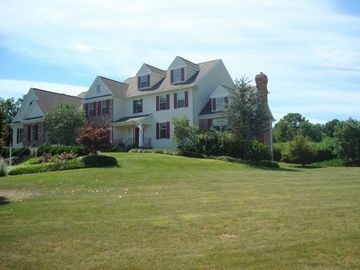 Located amidst the rolling green hills & woodlands of Northampton Twp, situated on a 5.26 acre parcel with tennis courts, perfectly manicured gardens and custom inground pool! Enter to a soaring 2 story foyer w/circular staircase & hardwood flooring, to the right a formal living rm w/FPL, and formal dining rm w/hardwood flooring & custom millwork. 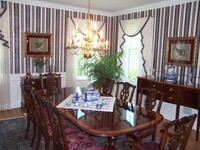 Adjacent a 2 story conservatory w/FPL. 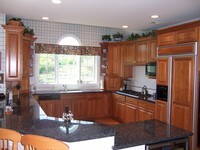 Spacious kitchen w/granite countertops, top of the line appliances, hardwood flooring & breakfast bar. Sun drenched breakfast room w/convenient backstaircase. Step down to the family rm, 2 story w/ floor to ceiling stone FPL flanked by custom built-ins. Laundry room, mud room & 3 car side entry garage complete the 1st flr. 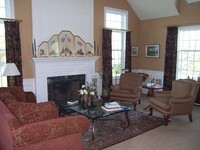 Above are 5 bedrooms including MBR suite w/sitting room & luxurious bath. 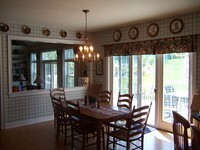 Below is a full finished basement w/wet bar, full bath, exercise room, billiard area, recreation area and media area.